Pinterest is on the rise and I know a lot of you have been feeling the heat because it’s something that’s just not easy to crack. The problem is that Pinterest takes a lot more time to nurture and grow than any other platform I’ve worked with so far. You know me though, I’m always a proponent of finding new systems, strategies and hacks to make my life easier. And if you’re like me, you don’t have the time to dedicate to pinning all day. 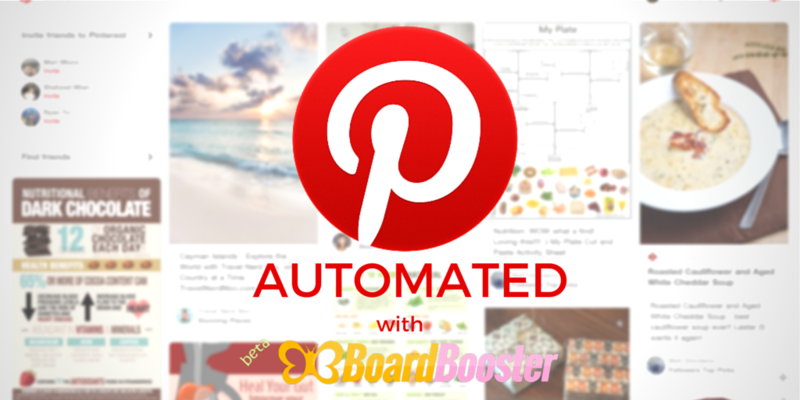 You can exhale now because yes there is a tool that can help you put Pinterest on autopilot and it’s called BoardBooster. Let’s start with a few basics about Pinterest that we should point out first just to cover our bases. While I won’t go into details about this since I really want to focus in on BoardBooster in this post, it’s good to keep these in mind for anyone that’s trying to figure out the platform. Vertical pins only – Have a landscape photo? Don’t even think about it. Long pins rule. Period. 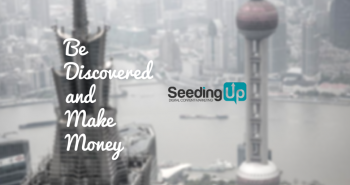 Group boards are gold mines – Your own pins only get on the feed of those that follow you but if you join a group with thousands of people following, you immediately get on their radar. Think about how powerful that is. Think of Pinterest as Google – Pinterest is a place for people to search for images and as a search engine, choose your words carefully and leverage its search algorithm to your advantage. Think of Pinterest as Facebook – Just like how the newsfeed is where you want to be for Facebook, the same thing goes for Pinterest’s own home feed. If your pin can show up when somebody logs in, chances of them interacting with the pin is that much higher. Pinterest likes it when you repin – Repins off of boards you’re following is good. Pinterest wants to know that you’re an active citizen in the community and this is one way to show it. It’s not all about you – In the same vain as the point above, you don’t want to be pining your own stuff all the time. 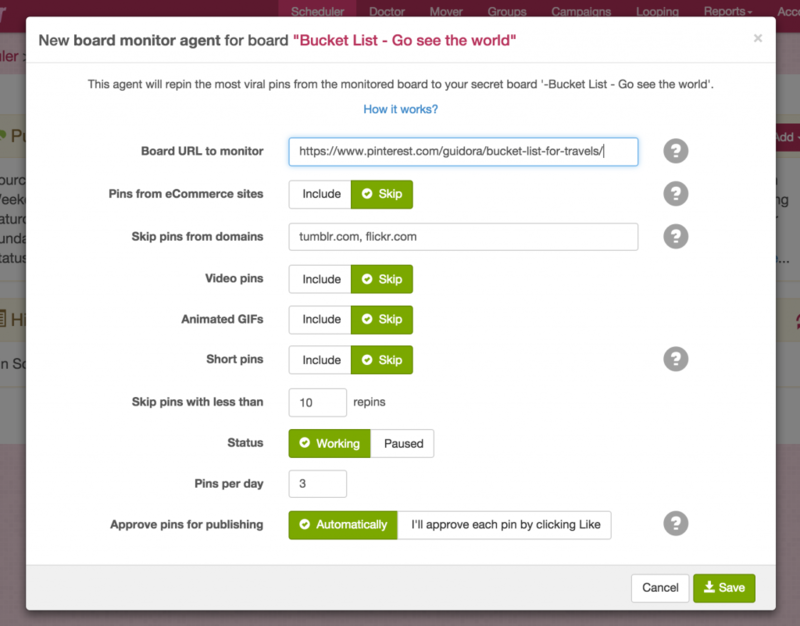 Curate content from outside of your blog and share on your boards and group boards. This all works to your favor when considering Pinterest’s algorithm. As a bit of background, I started the Going Awesome Places Pinterest board completely wrong. I was pinning horizontal photos and I had no clear concept of board organization. I was complete mess. Amongst everything else that I had going on, it took many months to get my account straightened out. The key is not to get discouraged if you feel overwhelmed at first. Even today, I feel like there’s still so much work to do with Pinterest but I’ll get to it one of these days. Okay finally onto the juicy stuff. 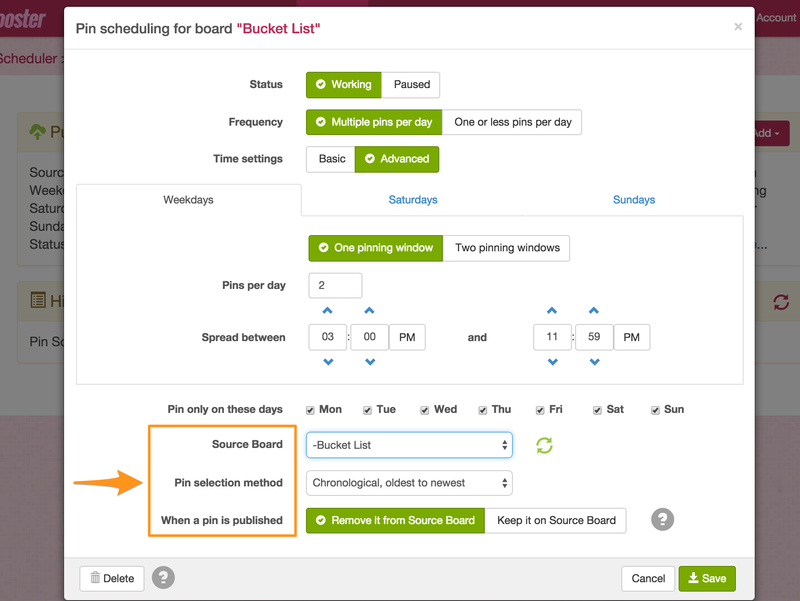 In a nutshell, BoardBooster is a scheduler tool that exclusively links with your Pinterest account and is literally something that you can set up for a few hours initially and just let it run. There are two main features that I use on BoardBooster. Each one is different but both easy to set up once you figure out what’s going on. Let’s dive right in. Looping is this idea of taking pins on your own board and repinning them on the same board so that they show up at the top and more importantly, show up on your followers’ home feed. Don’t worry though because BoardBooster goes through a deduplication process after the desired number of days to allow the repins and likes to grow. It’s at this point that it’ll look at which one has the lowest number of repins and will delete that pin. 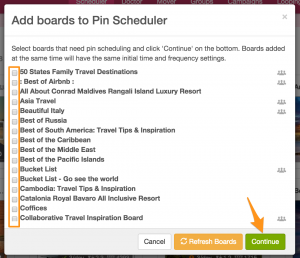 And if you both pins become super popular, you can tell BoardBooster to leave it alone. The idea sounds a little crazy but BoardBooster executes it so well that there’s no reason not to set this up. I’ve done this to my main blog board and haven’t looked back. Step 1 – Go to the Looping tab and add the board you want. Find your board and click to pop up the options. The options are simple to set up once you know what the mean. When in doubt you can always hit that question mark. Their explanations are quite good. And that’s pretty much all there is to it. You set it up once and you can kick back and work on the gazillion other things you need to get done. I’ve done it to my own main blog board but you can really do this to any of your own personal boards that are popular. As I mentioned in the Pinterest basics, the power of the group board should not be underestimated. So while Strategy #1 is great for your own followers, this second strategy is what’s going to break it wide open for you. This pop up will appear and show you all of the boards you currently have on your account. For starters I’d begin with picking one group board. You can tell which is a group board by the icon on the right side. When done, click Continue. In the next screen, you’ll pick some high level options for this board and how pins will be scheduled out. This can be as simple or as complicated as you’d like this to be. For me, I like using the Advanced feature turned on where I set a lower frequency during the week and increase it on weekends. I also set the timeframe to the optimal range from experience and research. If you really want to get crazy with this, you can also turn on Two pinning windows which allows you go to the detail of setting the number of pins that go out in the morning vs. evening. I can see some people complaining here that you can’t pick specific times or break it down by the exact day of the week but I feel like this is pretty damn comprehensive. This step is automatically done by BoardBooster. The way it works is this. 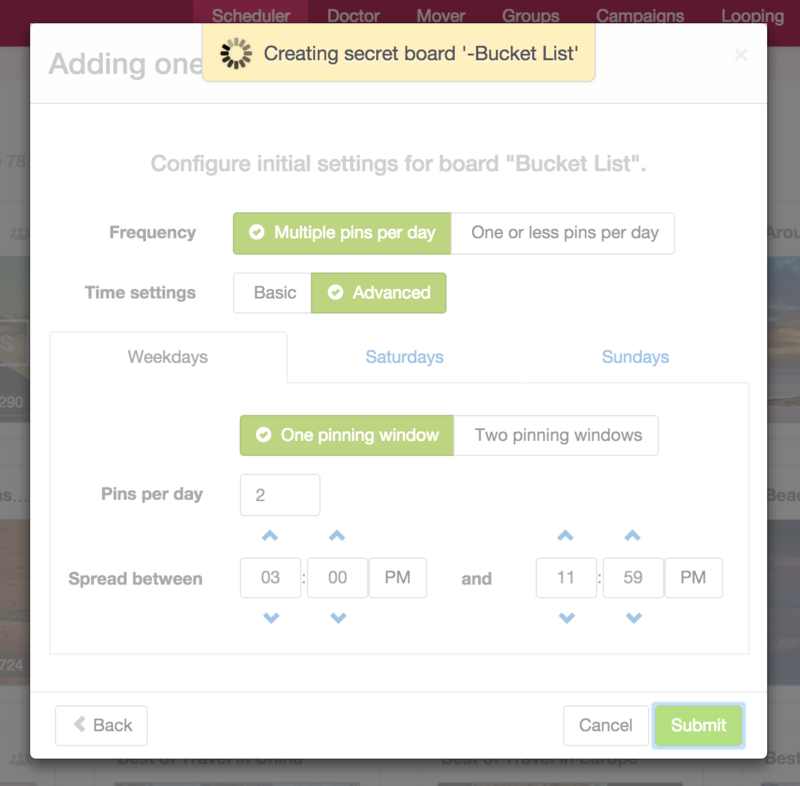 BoardBooster creates a hidden board on your account with the same name but with a ‘–‘ appended in front. The purpose of this secret board is to basically act as a bucket to store pins as they wait to be pinned by the scheduler. All the scheduler really does is move the pin from the secret board to the real board. When the setup is complete, you’ll get taken back to the Schedule tab screen. Click on the board and you’ll get taken to this screen. Click on the gear icon. This pop up window will open. The first thing you want to do is click on “Advanced settings” on the bottom right by Cancel and Save. This will expand the window to give you access to all the settings that make this feature so useful. I don’t think I need to go into how to set up the schedule because it’s pretty self explanatory and very similar to what was available when setting up looping. Keep in mind that the settings you entered in step 2 are applied here. 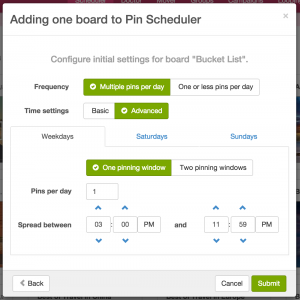 What you want to point your attention to is the Source Board, Pin selection method and When a pin is published. Source Board – By default this is going to point to your secret board as shown but instead, why not change this to one of your main blog boards or maybe something from another group board? There’s a lot of interesting things you can do here. 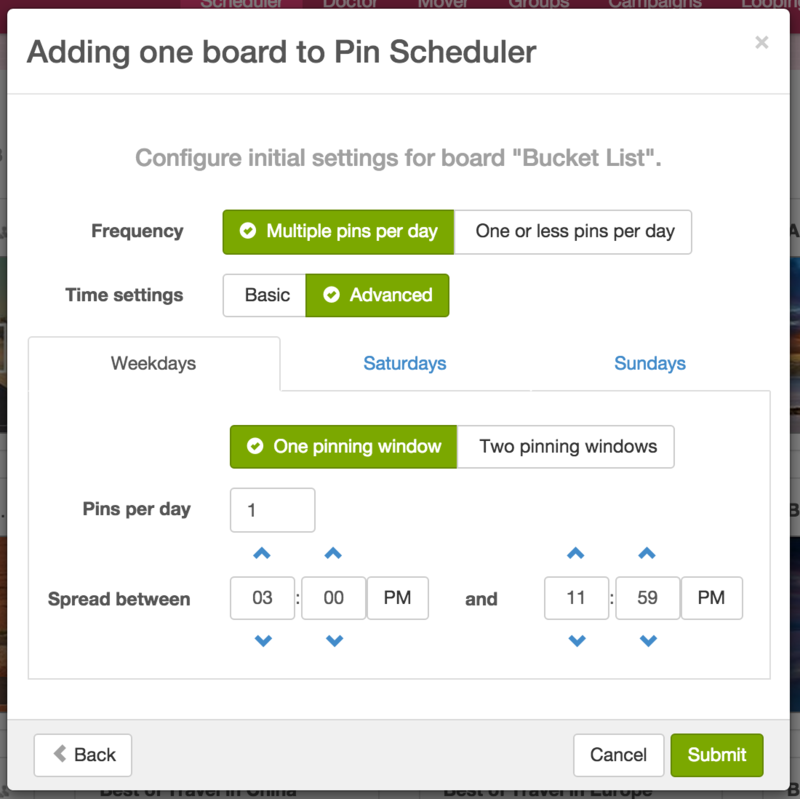 Pin selection method – I find that for group board feeding is best done when this is set to Random but you may have a case for doing it chronologically. When a pin is published – Now you have to be very careful here. If your source board is a hidden board, you want to set this to “Remove it from Source Board” but if your source board is another group board or your own board, you absolutely want this to be set to “Keep it on Source Board” because you don’t want to delete it from the source. Example of how you could set up the pin sourcing to pull from other boards. I have some group boards set up so that I just produce great evergreen content from other high quality group boards. This helps grow following and builds up a reputation of sharing really good stuff. I have other boards where they’re designed for bloggers to share their own content so this is the perfect opportunity to change the source to my main blog board. Lastly, sometimes I want to just leave it as default and feed content I find on my own. 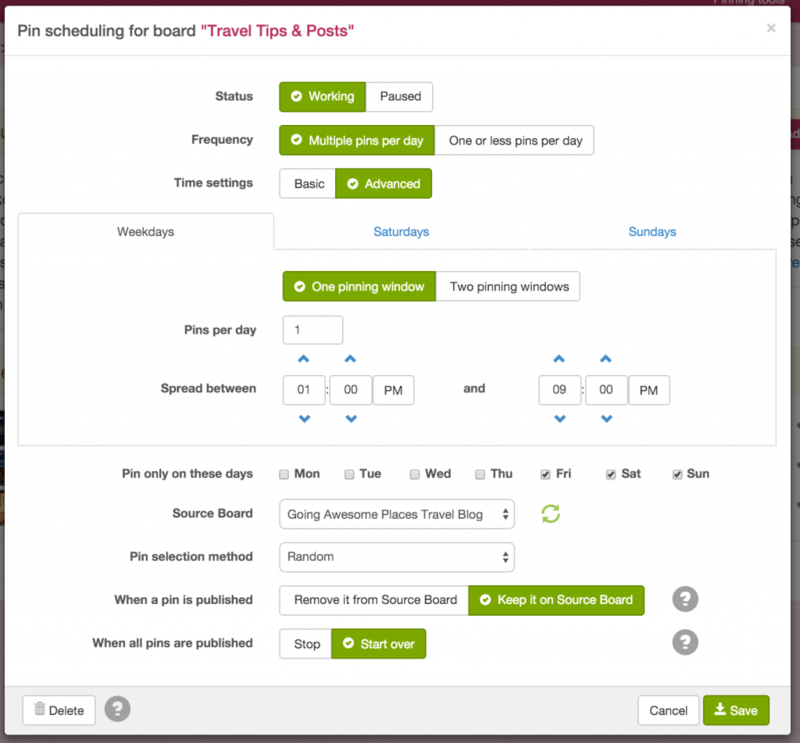 So my main blog board is another great example where I want to set all this up so that when I want to pin something new to my board, instead of pushing it live right away, I pin it to the secret board that’s automatically created from this strategy and I know to trust BoardBooster to just put it up when it’s time. Of course, you’re not just limited to just your boards. 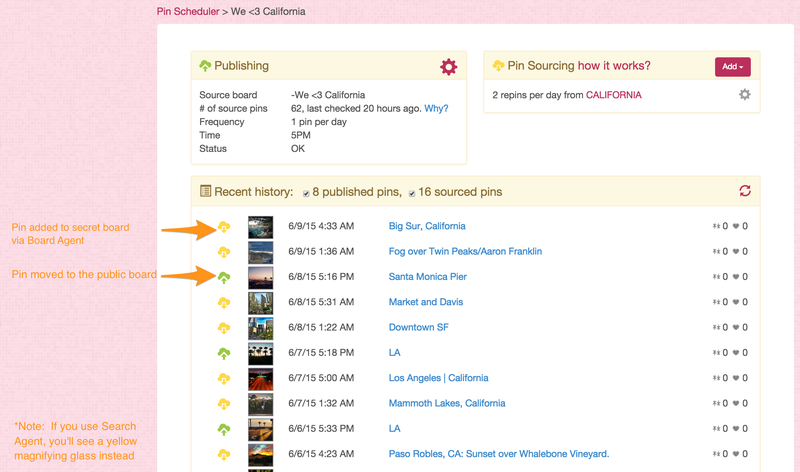 Pin Sourcing is an amazing way to populate your own boards with great content from other places. 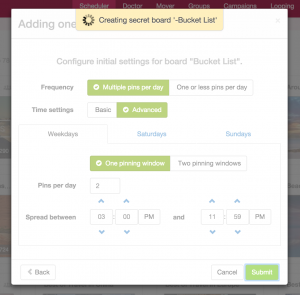 So let’s say you have your own board called “Bucket List – Go see the world” and you want to start auto-scheduling content to here. 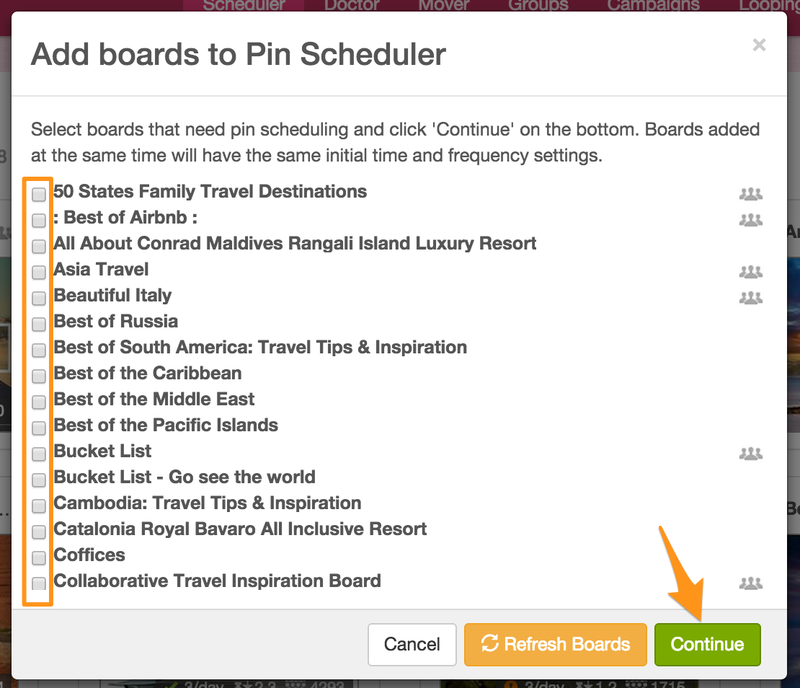 BoardBooster has a feature called Board Monitor that basically pulls pins from another board to help populate yours. The only pre-requisite is that the board needs to be set up in Step 4 to pull pins from the secret board. A few things to take note of: There are some domains where you just don’t want to pin to your board like Tumblr and Flickr. I also skip any pins that are video, animated GIFs and non vertical pins (uber useful). Another way to ensure quality pins is to only select pins that have a minimum repin number of 10 or more. One thing that I wasn’t too sure how it worked was the Approval pins for publishing feature. Usually I have this on Automatically. But there are some group boards I do this for that I want to be highly selective of so I set it to manual approval. The way this works is that the board monitor agent will keep dropping photos into the secret board and only when you’ve gone and liked a photo in the group board will it move it to the main board. Alternatively, there’s also something called a Search Agent which allows you to populate a board based on search parameters. I find this feature to be a little less useful but has it’s own use cases. 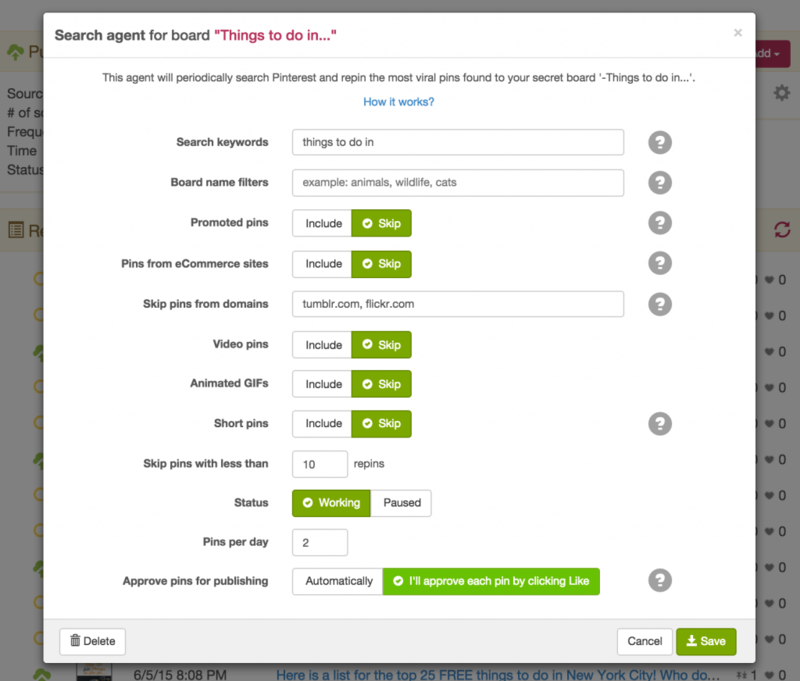 So for example if you can’t find a board that’s specific enough, you can use this to target specific search terms. This is going to be a bit more trial and error so I would actually do manual approval here just to see what kind of content it actually starts pulling. If things look good for a couple days, then I would switch to automatic. In the example below, I have a Things to Do board and I’m basically feeding any pins that have the words “things to do in” in it. I could further filter by board names these belong to but I’ve kept it open. Hopefully this gives you some ideas to work with. There are TONS of possibilities. Now the last thing I want to touch on is figuring out what the history means for boards that are set up with Pin Sourcing described in Step 5. See the below screenshot for an explanation. At the end of the day data doesn’t lie. I signed up for Boardbooster on March 28 and you can see how much Pinterest referral traffic has increased as a result. 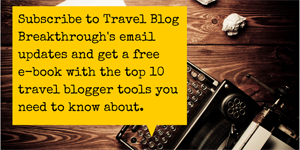 And the only thing that matters when all is said and done is whether you’ve been able to drive readers to your blog. I was doing a measly 150 referrals a month to 1,400 in 2 months. I just about fell out of my chair when I saw the results. It Can’t Be Free Right? Would you be surprised if I told you that it is free? 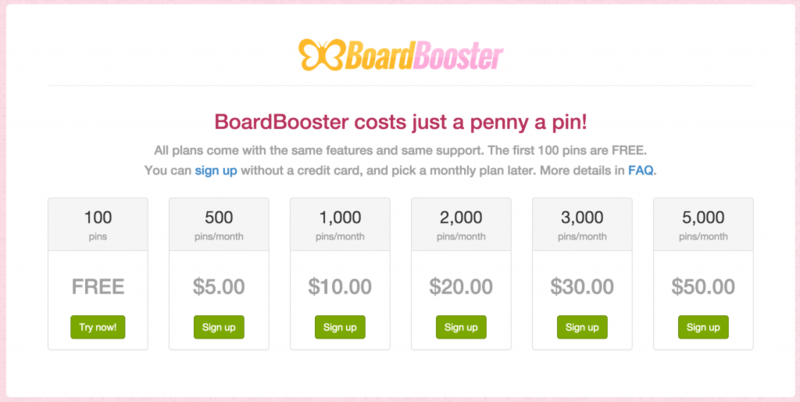 While this may be the case, I’ll tell you that the free offering of 100 pins a month from BoardBooster is a serious tease. I started off with the free tier and the following month I upgraded to 1,000 pins/month which is just about right for me. For $10, I’m easily getting the value of what CoSchedule is costing me so it was a no brainer to upgrade. If you’re going to sign up, I’d love for you to use my referral link. BoardBooster is going to be your best friend once you start using it. It will save you a whole lot of hours in your week so you can focus on doing what’s important for your blog which is to create content, network and hustle. If you’re curious to see what I’m up to on Pinterest, make sure you follow me! 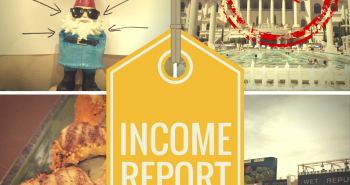 Visit Will of Going Awesome Places’s profile on Pinterest. Another great resource. Your article on Tweepi really helped get our Twitter follower count going and I think Boardbooster could be the same. Like you had mentioned in another post about your initial Pinterest work it has been an underused resource for us. A powerful, but under-utilized resource. 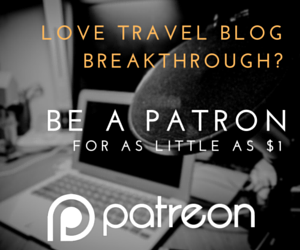 Love the work you do on TBB. This caught me off guard. I read through this thinking, wow this is going to be great for when I finally have the budget for this kind of tool! Was totally surprised they have a free version! Will definitely be trying it out soon! I haven’t heard of boardbooster before. Currently using robovy but I’m not so fond of it. Thank you for an extensive review. 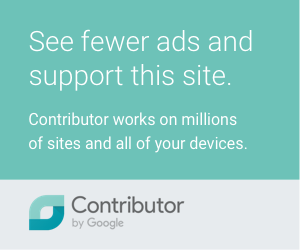 Will check it out and will use your referral link if I decide on it. hey Brenda!! I was using robovy too but with most schedulers, it was still too much work for me especially with all the other social media work I was doing. Definitely check out BoardBooster. I would say it’s not a replacement for something like Robovy but more of something to augment the scheduling you’re already doing. I’ve actually never heard of Ninja Pinner. I’ll have to dig a little deeper but do they have the looping and group board feeding features? You’re most welcome Maki! I’m so glad my article was able to help. You’re exactly who I’m here to make a difference with! I never thought of pinterest as that important, but as just another form of search material, it makes sense as to how it can draw in traffic. I now have my board booster set up 😛 Gonna try out the free version for a bit, and I like it I’ll definitely upgrade as recommended. Thanks again for the super useful content. SWEET I’m glad you got it set up 🙂 How has it been working out for you so far? Love it! Thanks for the heads up…I’ll be giving it a shot. Hey Will, thanks for taking the time for 1 on 1 mentoring! Searched your blog for relative topics that we talked about and came across this. Definitely going to start using canva and pintrest, and will set up boardbooster too! That’s great to hear Renz! Let me update the post to have a clear screenshot of where pin sourcing is. Hey Renz, I’ve made an update to the post so you should be able to find how to get to it. You’re most welcome. Let me know if you have luck with BoardBooster!